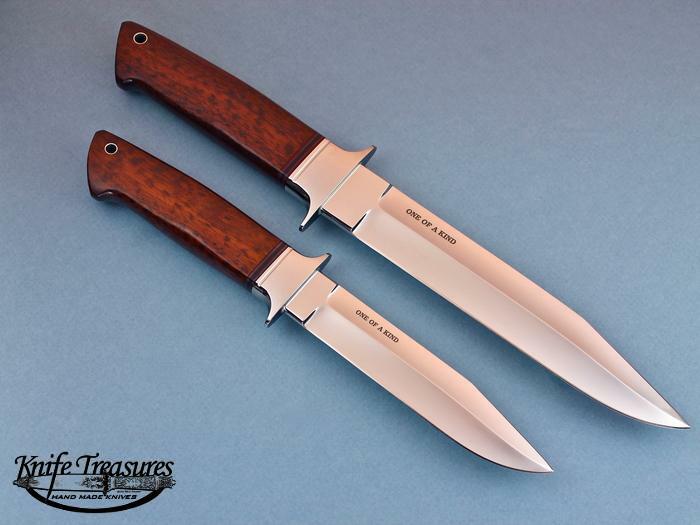 A beautiful "One Of A Kind" Set of knives by Steve Johnson. 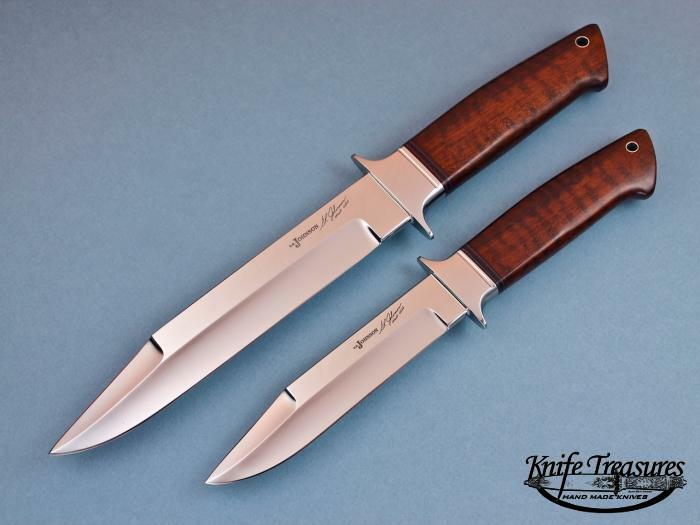 This set of knives has a "Fighter" grind on one side and a "Chute" grind on the other. 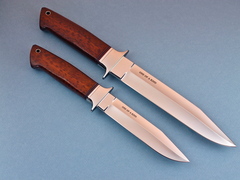 They have beautiful Snakewood handles. 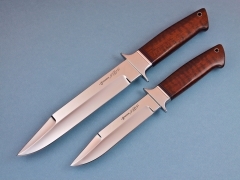 This Set of knives came from the Peppini collection out of Italy.